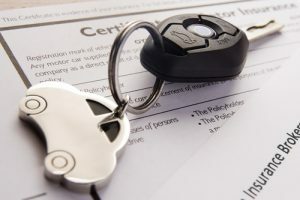 The Michigan No-Fault Insurance Act was put in place to help car accident victims, but the complexities of no-fault statutes and first-party insurance claims often leads to disputes between insurance holders and insurance companies. What Is a First-Party Claim in a Michigan Car Accident? Every Michigan driver must, by law, purchase no-fault insurance. Because coverage is mandatory, no-fault insurance is intended to provide first-party personal protection – also known as PIP benefits or PIP insurance. Medical expenses for the rest of your life for all accident-related medical bills, including attendant care. Up to three years of lost wages. Survivor’s losses in the case of death. Replacement services, such as child care, household chores, etc. As a no-fault insurance policyholder, after an accident you make a first-party claim against your own insurance carrier for Michigan no-fault benefits. … if you live with a family member who has auto insurance and take advantage of “resident relative’s” insurance coverage. … thanks to the insurance on the vehicle that you were in at the time of the crash. … through the Assigned Claims Facility. A no-fault insurance or first-party claim is the most common claim that results from a Michigan auto accident. Before you can recover financial costs for some of your accident-related expenses, you must win your claim. It’s important to know what kind of coverage you have and what kind of leverage you have against your insurance company. If you have chosen to coordinate your benefits with your auto insurance company and other health and accident coverage providers, you may enjoy the perk of a reduced premium, have deductibles, or settle for benefits exclusions. This is known as limited no-fault coverage. While limited, coordinated coverage may be more affordable, it often leads to problems when an accident occurs. Because the no-fault insurance carrier is not considered the primary source of benefits, other health or accident policies must be relied upon first for payment. There is often an argument about the primary coverage, and that leaves the sufferer without support in the meantime. In some situations, first-party and third-party claims can be made simultaneously. Your Michigan first-party claim car accident attorney and PIP insurance lawyer will help you navigate the complicated nature of insurance claims so that you receive the maximum amount of benefits to which you are entitled. Some car accident victims find themselves facing pushback from their insurance company after they file a first-party claim. The insurer may try to reduce the amount it pays to the insured if there is other coverage available, such as workers’ comp, disability, or survivor’s benefits. First-party benefits can be thought of as an economic loss – they cover tangible things. Third-party benefits are a non-economic loss that cover pain and suffering and can also cover wage loss. Claims can also be made regarding uninsured motorists, underinsured motorists, and property damage. You have options for benefits – as long as you understand what is your due. Insurance companies are meant to support you case of a car crash, but they are not necessarily on your side. Get support from an expert you can count on. If you are involved in an auto accident, contact Thurswell Law for a free consultation. Our experienced vehicle crash attorneys are prepared and experienced to confront your insurance company so you receive the full benefits to which you are entitled following an accident. It doesn’t matter if you were at fault or not, don’t settle for less than what you deserve from your insurer, or wait for a payout that may never materialize. At Thurswell Law, there are no fees unless you collect. Contact us at (248) 354-2222.